The adoption of analytics across the enterprise is accelerating, and with good reason. Analytics can offer a competitive advantage by helping to identify growth opportunities, circumnavigate risk and improve customer relationships. These insights are becoming crucial parts of the business strategy for executives representing a wide array of industries. 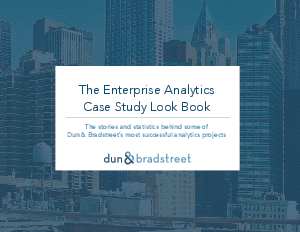 Check out our latest eBook to see how some of the world’s leading companies are using analytics to meet their needs. You’ll receive diverse examples of how organizations applied the latest statistical methodologies, such as: scorecard build, regression, decision trees, machine learning and material change to uncover meaning in data. The examples represent global brands across critical industries – Financial Services, Insurance, High-Tech, Aerospace, Manufacturing and others – where analytics helped answer their most challenging questions.